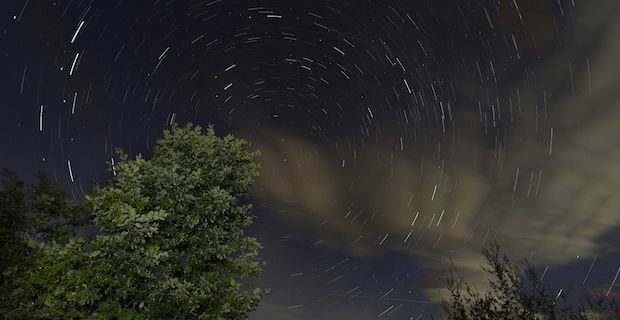 This week is shaping up to be the perfect storm for fans of meteor showers as the annual Lyrid meteor shower is to be coupled with clear skies for maximum effect. UK stargazers will be able to catch quite a show where the shower hits its' peak tonight and tomorrow night. This is the time each year that our planet comes closest to Comet Thatcher and the debris tailing off the end of this burn up when it hits the Earth's atmosphere as we pass through its's path. It is this burning up that creates the beautiful glowing streaks of light that glide through the night sky. For those of you heading out to see the show on either night then you will need to point yourself in the direction of Lyra The Harp where the shower is originating from and it derives its' name. If you cannot manage this then don't fret as streaks will burn up randomly all over the sky depending on where they enter the atmosphere. To take in the Lyrid meteor shower you do not need any fancy equipment so all you need to make sure is that you are dressed warmly and maybe bring a flask of tea with you. The best tip for you is to get as far away from any urban lighting as you can so you can catch a glimpse of the sky from the darkest place accessible to you.